Kickstarters a bit like Christmas, isn’t it? Those games you backed months, maybe even years ago, turning up on your doorstep long after you’d forgotten about them! (Or is it just me that manages to forget about stuff?) Just last week I had Founders of Gloomhaven drop at my door and in the very near future I should receive Mint Delivery, Brass and a metric tonne of poker chips that I might have accidentally splurged on when backing Brass. With these in mind, let’s have a look at current Kickstarter projects that could be landing with you at the end of this year! So, even as a cat lover, this is adorable! 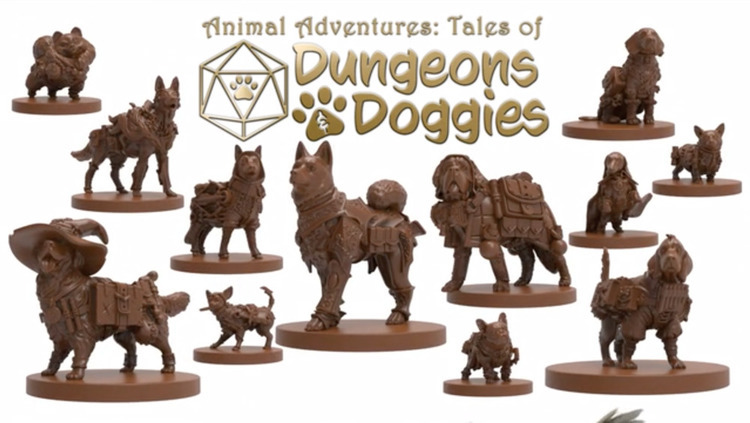 Dungeons and Doggies is a set of 13 pre-assembled miniatures along with all the rules you need to add them into your standard DandD campaign. 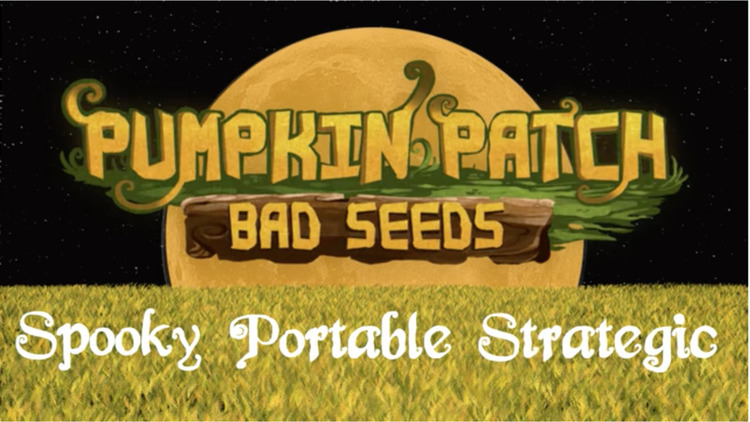 This is Painting and Polygons first Kickstarter project so they have kept it simple with just the one pledge level, no add-ons, no stretch goals, making it easier for a first time creator and ensuring everyone is happy. 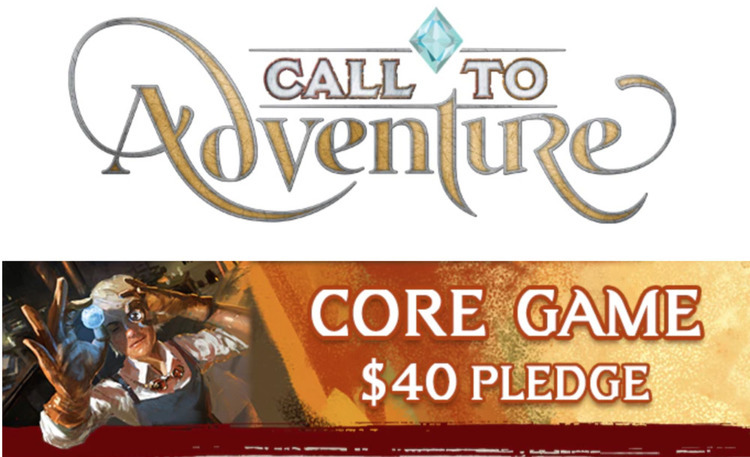 As well as your 13 figures you also get a rule set, helping you create an intelligent dog along with unique feats and canine class options that means you can jump into any 5th Ed DandD campaign. Alternatively, you’ll also get an independant adventure scenario called ‘Who Let the Dogs Out?’ that can be used with your canine chums or any other party. April Prime has done stunning artwork for this project and alongside everything else, you’ll also get some art prints of her work. All for a bargain 27GBP / 35USD. This project is due to fulfill in May 2019, but in the meantime there’s talks of a Cats and Catacombs project launching at the end of the year - I’ll be all in on that one for sure! 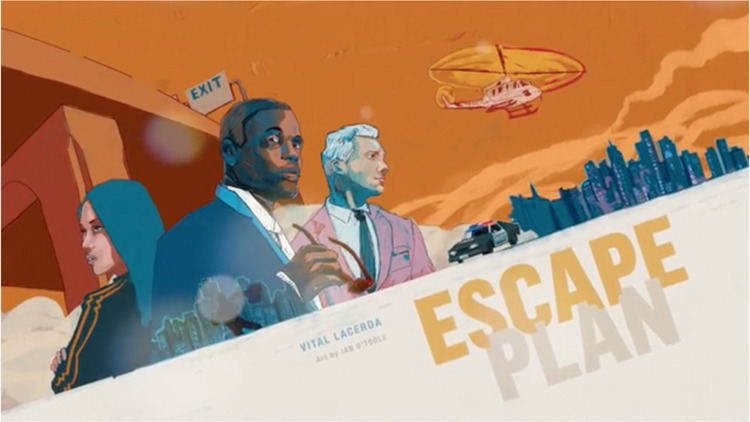 Two of the biggest names in gaming have teamed up to bring us Escape Plan. Designed by Vital Lacerda with artwork by Ian O’Toole. What, you need more than that? After a successful bank heist, you and your fellow criminals are relaxing, enjoying the ‘fruits of your labour’ but somehow the police have got a lead. 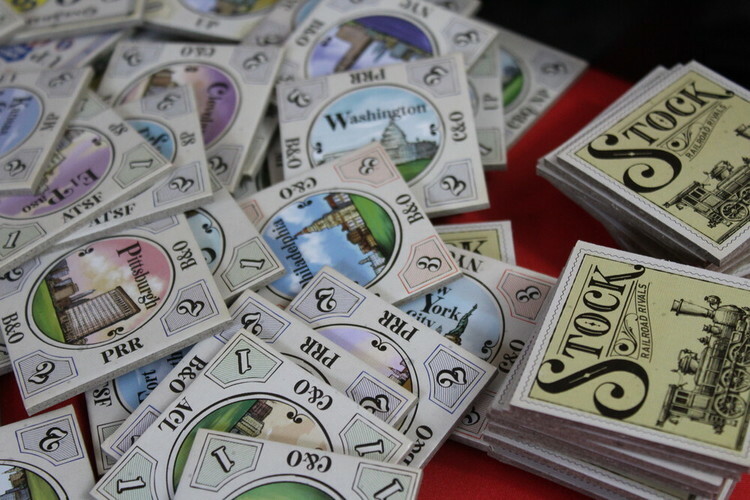 You need to make it out the city before getting caught, while grabbing as much of your cash en route. You can use all sorts of resources at your disposal: underground contacts, local gangs and disguises to try and get you the hell outta dodge, but your fellow criminals will all have similar ideas. In the end, only the player that escapes with the most loot can win! At around 60GBP / 79USD this is one of the cheaper games, however UK shipping is a steep 20USD pushing it up to the $100 mark. Due to fulfil June 2019. The art on this is lovely and it’s a total steal for 7GBP / 9USD.